With my new kimono. Do you like this combination? Blazer now € 10 on sale, normally € 19,95. The white T-shirt is new as well, it was only € 4,95. Both are from Divided. Faux leather shorts, only € 14,95. These were on my wishlist! 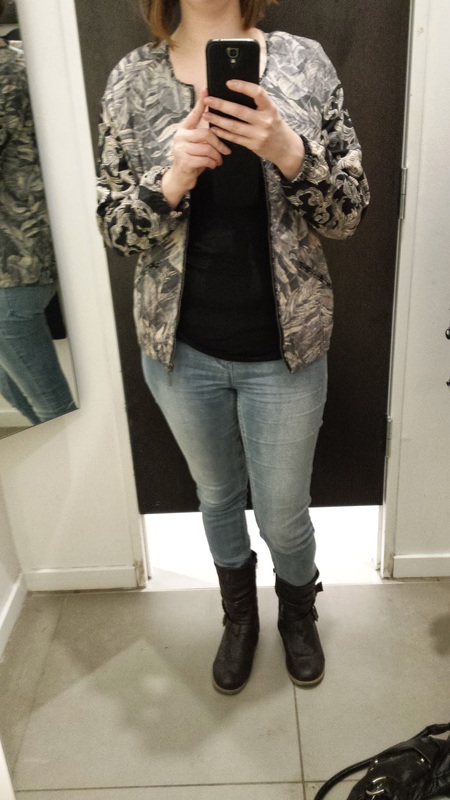 I combined it with my new blazer, new bomberjacket and my floral blazer from Zara. Flower pants, only € 14,95. 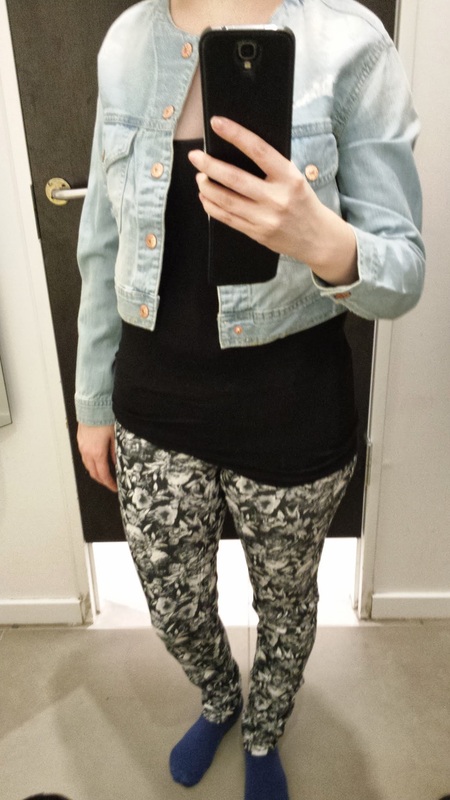 It has the same fabric as the Zara floral pants, which is so comfy. It basically feels like a legging. € 14,95. 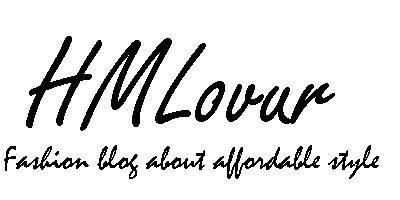 Cute, definitely liked it, but the problem with money is, you can only spend it once. That is, if you don't want to get in trouble. And I don't. So you have to make choice and this top didn't make the cut. 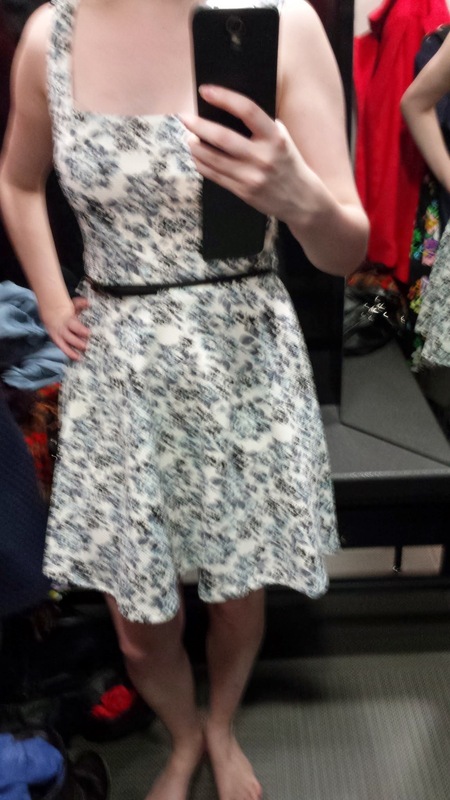 I just really wanted to try this dress on. 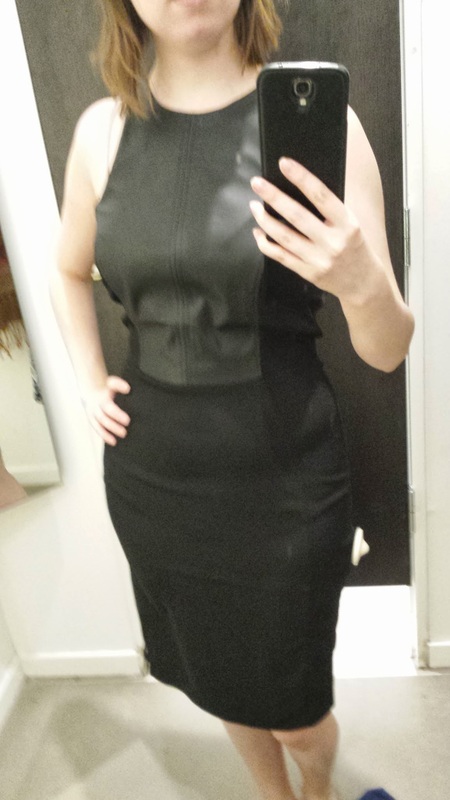 It was so edgy and € 29,95 so not that expensive. But I have no idea when I will wear this dress, so it was a no. 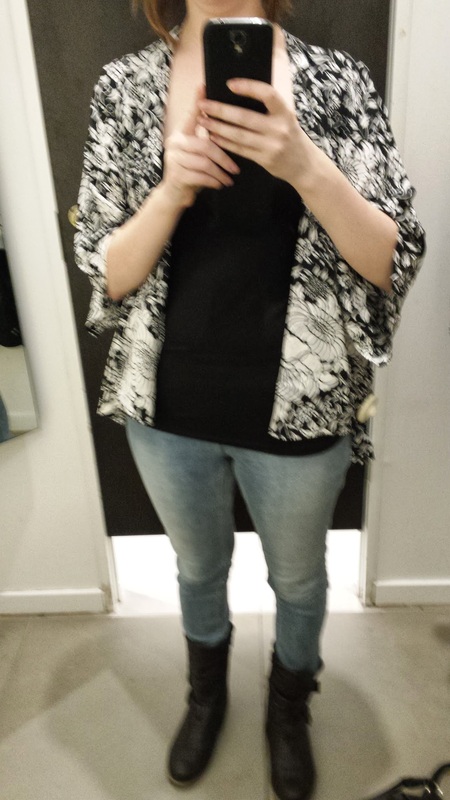 I think this denim jacket was something like € 34,95, but I'm not sure. 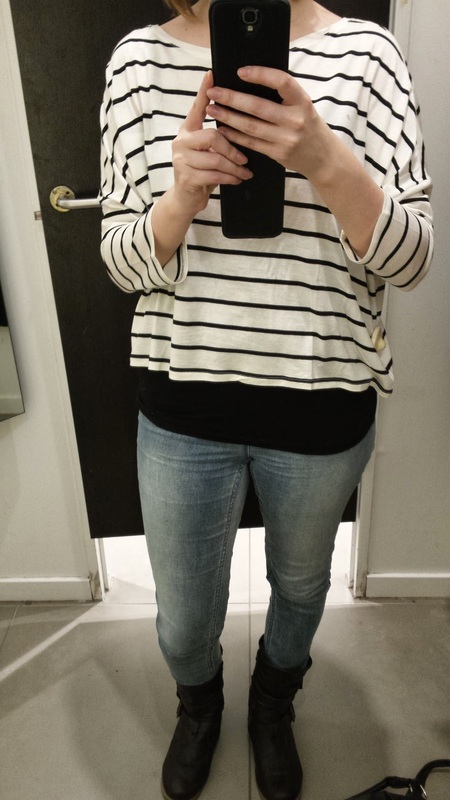 It was quite wide and I think I like the regular jeans jacket better. 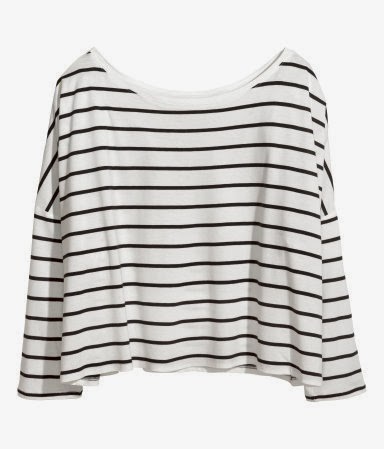 Again, this top was not in my size and I can't order it because it's completely sold out. Only € 9,95 and I wanna have it so bad! 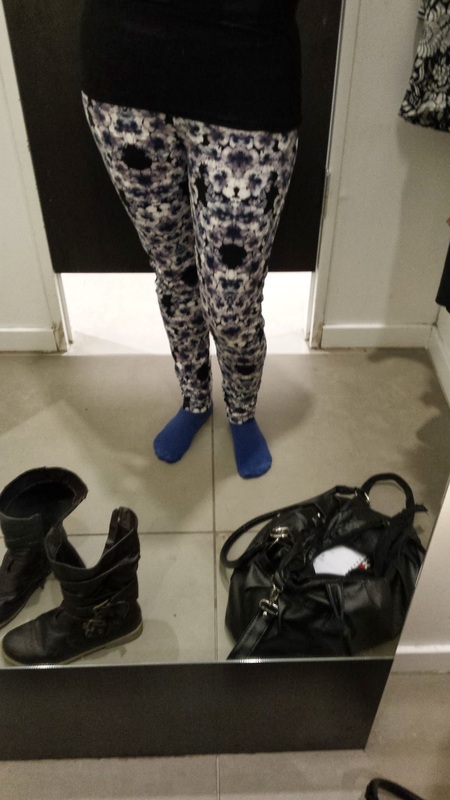 Below are the items I tried on from Primark. 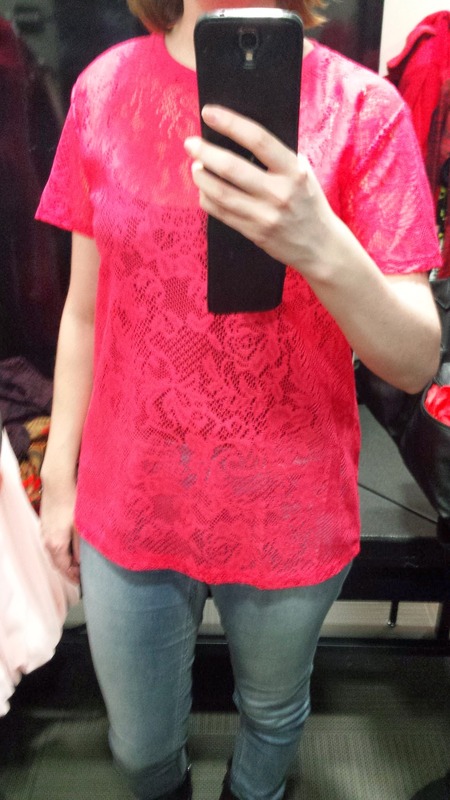 The color was cute but I wasn't that enthusiastic about this T-shirt. I think it was only 3 euro and on sale, but I'm not sure. 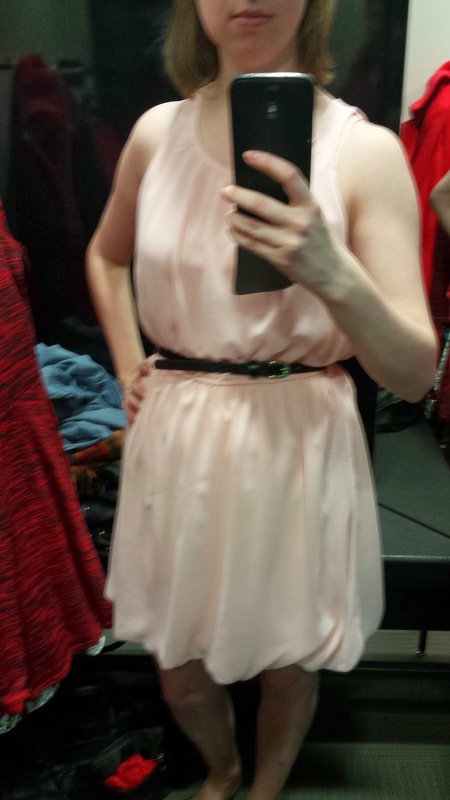 While the color of this dress was cute, it was perhaps a little bit too pale for me. I also didn't like the ballon skirt, I prefer a skater skirt (which is more flowy at the end). It is € 15. Like this one. 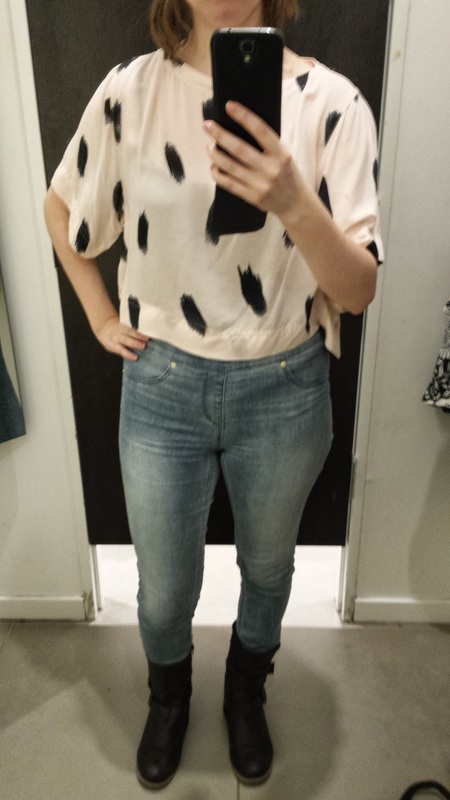 This one was € 17 I think. 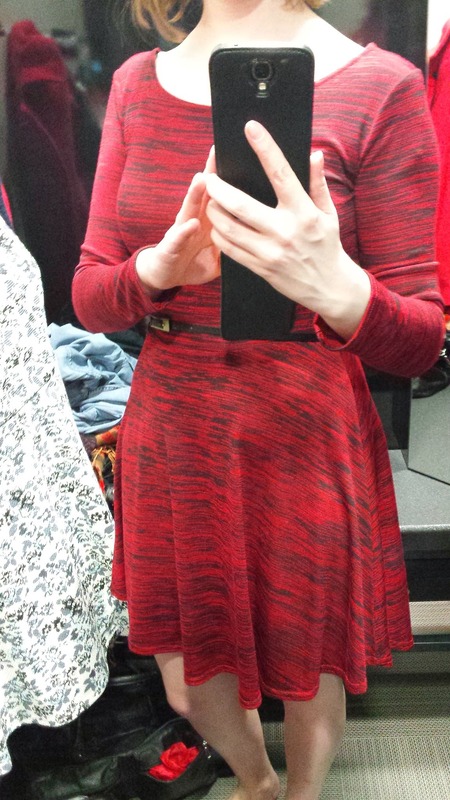 I liked the color and the fit, but I already have some dresses and this one was not cute enough in my opinion to warrant some space in my closet. 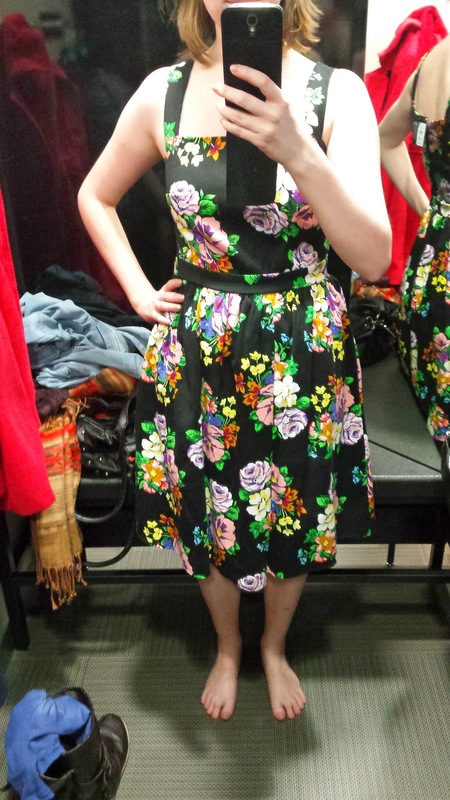 I think this cute dress was € 13 but holy cleavage. It was a little bit too much. Cute, preppy dress. Which might have been € 13 or more. I have no idea. I should write it down. 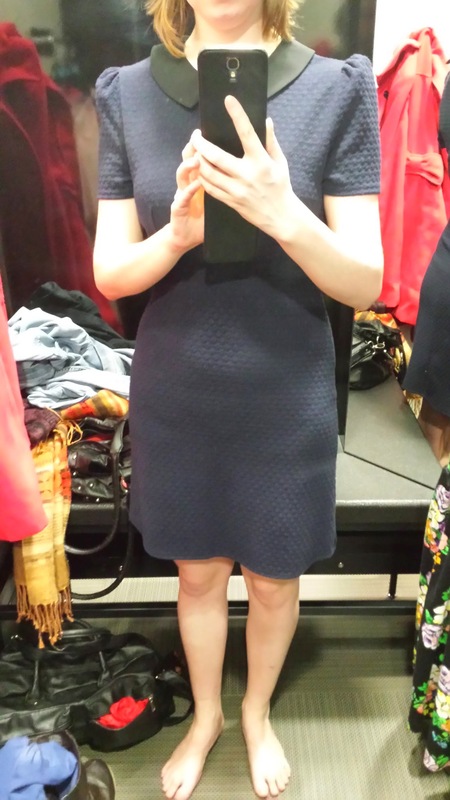 I think this dress was € 17 and super cute. 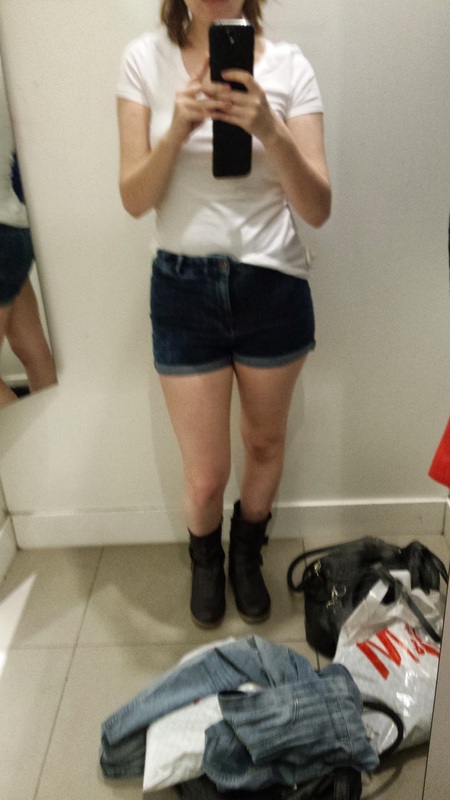 I loved the skirt bit and the top, but it was so hard to take it off. I was really afraid I might dislocate my shoulder. A shame, because the fit was perfect aside that and a bigger size would've been too lose. 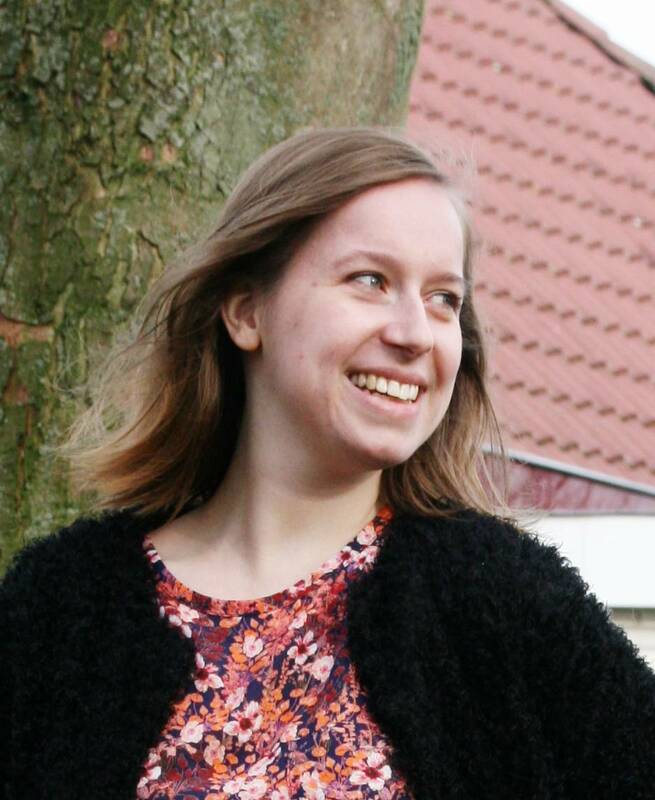 tot we echt weer de korte broekjes/rokjes kunnen dragen! Wow! I love everything, especially the kimono and shorts combination!